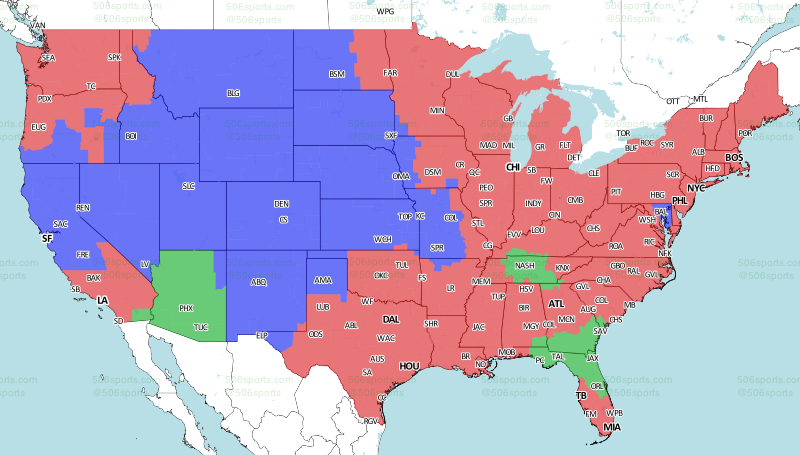 We learned nearly two weeks ago that this weekend’s game was being “cross-flexed” from FOX to CBS to help gain a larger national audience for the game. So while Broncos-Raiders is going to take up most of the plains and NorCal, Rams-Saints will grab the money markets along the East Coast along with the power markets of the South. It’s even a rare game in which the Rams get the San Diego market involved. And given the playoff race and divisional title implications, all of Washington state and Oregon will be watching to boot. The Rams are 7-3 and in striking distance atop the NFC West. As long as that remains the case, the NFL will make sure the nation gets a chance to watch the Rams’ spectacular 2017 season in real time.